The image I used to stamp is from Moyra plate 06 Florality 1. There are two different flowers on it but I decided to stamp the same part of the design on all my nails to make them look the same. The only nail that was big enough to fit the whole design was my thumb nail. 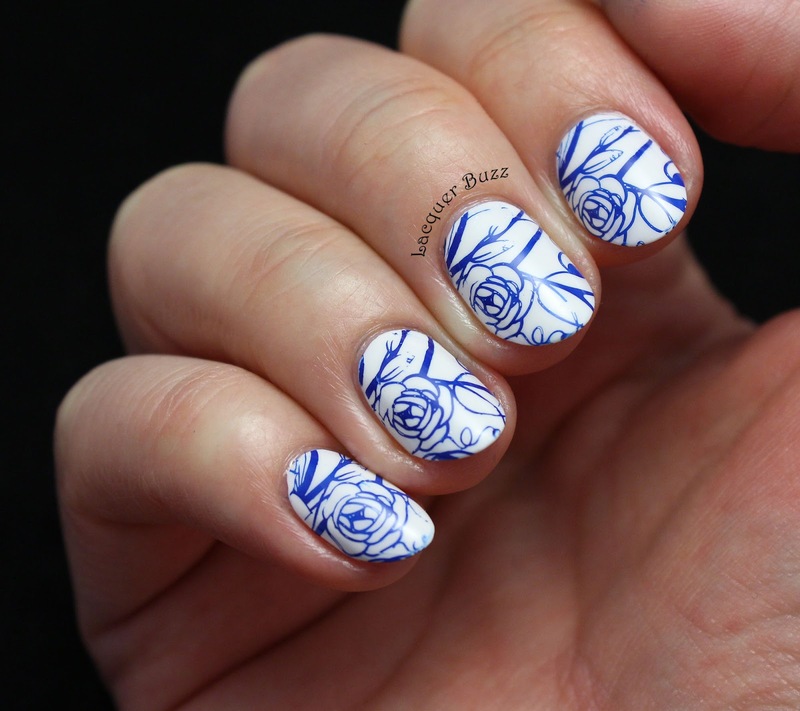 I used Barry M Cotton as a base and stamped with Moyra SP05 Blue. 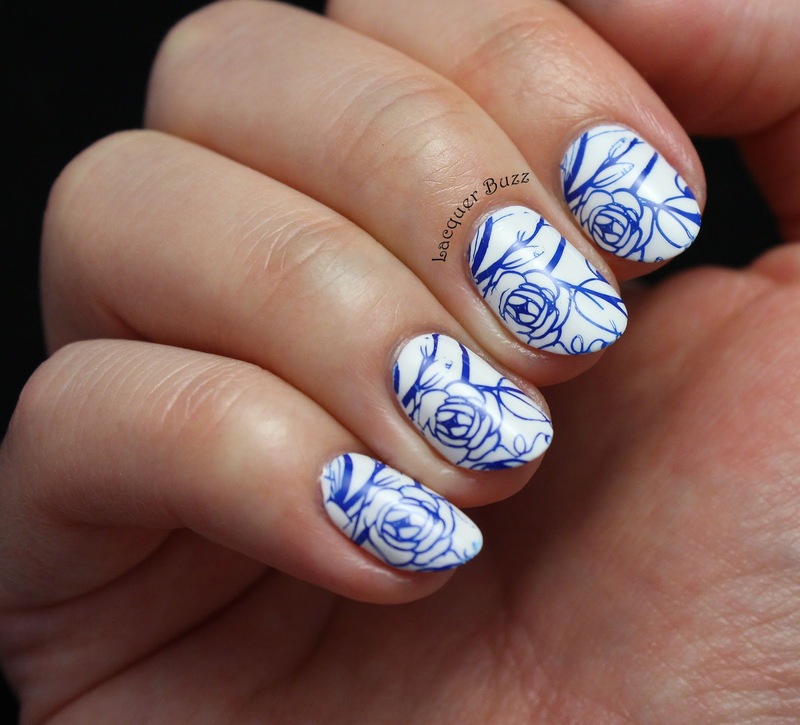 The blue stamping polish from Moyra is a little sheer but still has a good pigmentation. I'm currently testing out a few Moyra stamping polishes along with a few new plates, so a couple of big reviews will be coming your way soon. 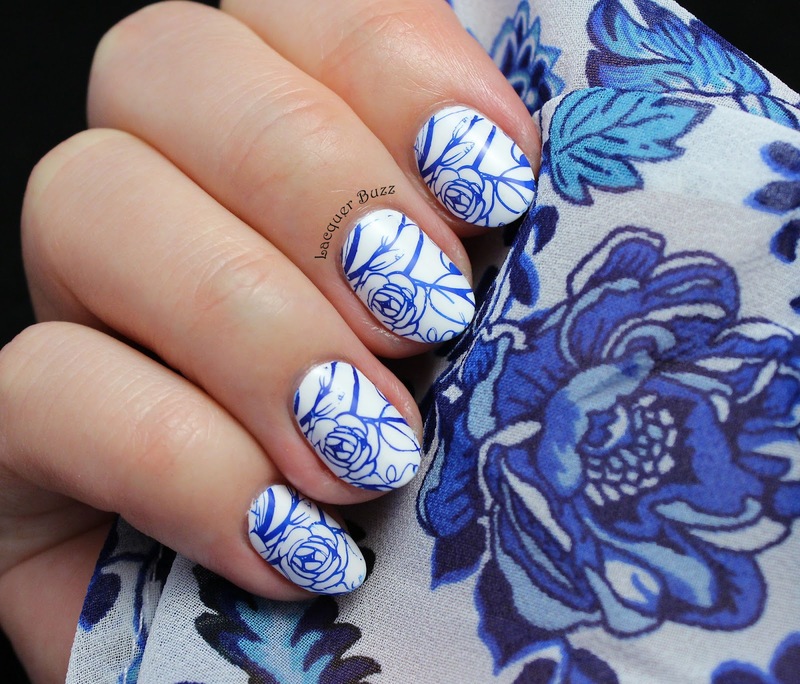 Here's a photo I took of the manicure and the fabric that inspired it. I very much enjoyed wearing these nails. They are both delicate and elegant. 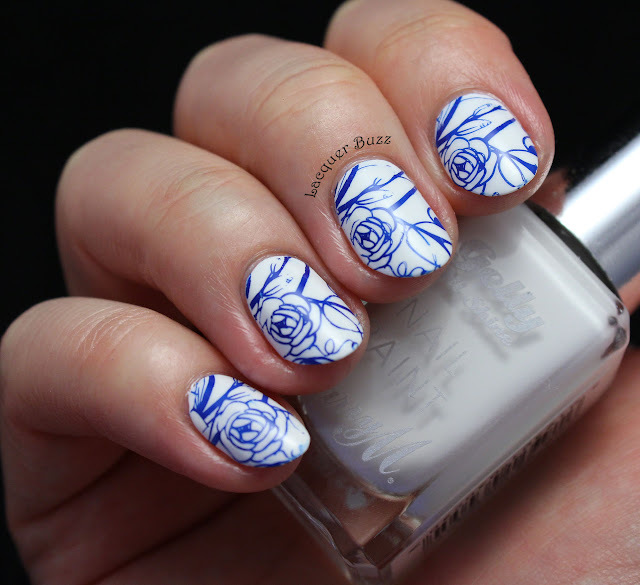 Plus I really love the combo of blue and white because I find it very clean and relaxing to look at. I really hope you enjoyed these and make sure you check out the rest of the Monday Blues in the links below!